NEW YORK (Reuters) – Employers, advisers and fund companies are bracing themselves for a flood of calls this fall when participants in 401(k) plans learn for the first time just how much they paid in fees the previous quarter. Under Department of Labor regulations, employers have to provide fee information to the investors in the plans by August 30. The disclosures will simply show what an employee could pay in fees on various investment options in their 401(k) plans. But the real “aha” moment for many plan participants is likely to occur sometime after November 15 when they receive account statements detailing what they actually paid in fees the previous quarter – in dollars and cents. Recent research suggests that the existence of fees might alone be news to many employees. More than 70 percent of 401(k) plan participants did not know they paid any fees for investing in their plans, according to a recent AARP study. “This (November) will be the first time that most participants see a deduction from their accounts that are not a result of market losses,” said Bill Peartree, a San Diego-based financial adviser with Barney & Barney Retirement Services, serves retirement plans and has $1.2 billion in assets under management. Peartree and other advisers say employees may be alarmed at what they see. In April, Fidelity began mailing and e-mailing fee disclosures to more than 9 million 401(k) participants, several months ahead of the required rule. In that time, the fund operator has only received about 600 calls with questions about the fees, according to people familiar with the situation. Some say that the few calls Fidelity received from its early disclosure mailings could be indicative of what may happen at other firms after the August 30 deadline for disclosure. “It just reinforces the notion that no one is going to read these because you would have expected more calls,” said Robyn Credico, defined contribution practice leader at Towers Watson & Co which advises retirement plans. The idea for fee disclosure was simple enough: Show people who are saving for retirement through 401(k) plans exactly what portion of their investments goes to paying for fees. The rule that mandates disclosure of 401(k) fees was finalized by the Labor Department earlier this year. Fidelity’s early send-out could be a benchmark for how the August 30 disclosures might appear to investors in 401(k) plans. 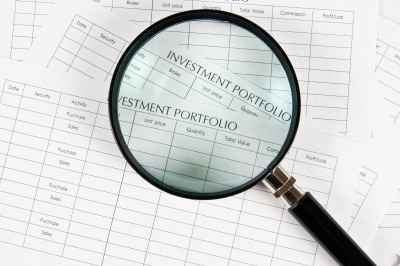 One disclosure statement Fidelity sent out shows the expense ratios for each of the 25 funds offered in one plan, as well as what that expense ratios would mean for a $1,000 investment, according to the 16-page document which was reviewed by Reuters. For each fund, there is also information about the average expense ratio for fund’s benchmarked index fund. Investors have to do the math to figure out how these expenses apply to their own accounts. The November statements 401(k) plan participants receive, however, will show the fees they actually paid over the past few months by investing in the plans. “That’s where we are going to see sticker shock,” said Jason Roberts, founder and chief executive of the Pension Resource Institute, a Manhattan Beach, California-based consultant to 401(k) plans. But how many – and how loudly – participants react may depend on how clearly the fees are displayed. That will vary by provider, said Mike Alfred, chief executive and co-founder of BrightScope Inc, which rates 401(k) plans. “Some providers will provide this disclosure on page one, but for others it might be on page nine,” he said. What’s more, despite the more detailed disclosure coming in November, participants will not see all of the fees they pay, said Jeffrey M. Gratton, managing director of SageView Advisory Group, a Minneapolis-based financial advisory firm that serves retirement plans and has $2 billion in assets under management. For example, costs that make up the expense ratios of the funds, like management fees and marketing fees, known as 12b-1 fees, will come out of the fund returns but not be on the new fee disclosures, Gratton said. Roberts believes executives, who tend to be the biggest savers in 401(k) plans, will also likely be the most vocal about such issues and call for change. “Some of them are going to feel like they are subsidizing the low-balance participants,” Roberts said. Meanwhile, advisers worry that given the fragile economy and rocky markets, many 401(k) plan participants may be seeing these fees at a time when they are particularly sensitive to costs and withdraw from their plans altogether. “It could be a one-two punch for some participants,” Peartree said.